You may remember I recently mentioned we would be launching a cross-country tour to help #SaveTheBees. The Protect the Pollinators Tour will include a series of public meetings with beekeepers, farmers, academics, and environmental advocates, as well as individual Canadians concerned about the fate of bees. It's a great opportunity for anyone who wants learn more about the issue. 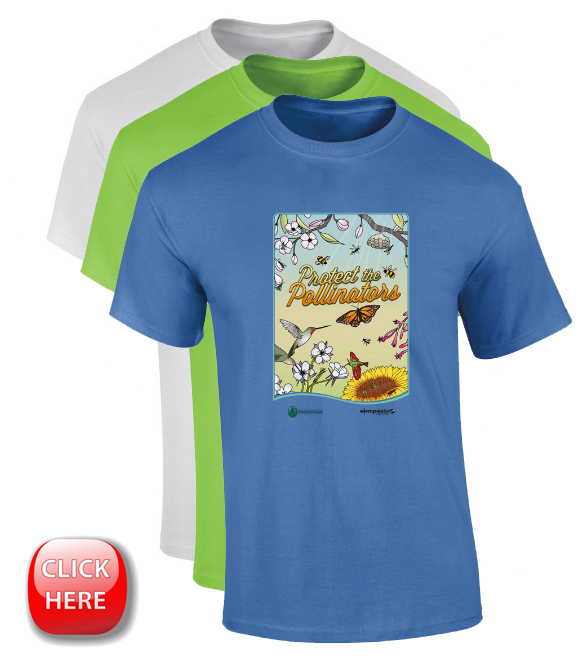 We have videos, beekeepers, expert speakers...we even have (DRUMROLL) our own Tour T-Shirt! We've got it all--the only thing missing is you, so be sure to check it out. My first big road trip was in a 1964 Plymouth named “TERM” -- from the Ann Charters biography of Jack Kerouac. She said he had embarked on a path that drove him “To the Edge of Ragged Madness”. At 23, that was pretty cool. But rather than running to ragged madness, this trip is about ending the madness that threatens our ability to grow food, and survive. Ironically, the justification for this chemical madness is the same desire to produce enough food to feed everyone. The chemical industry wants us to believe we have no choice; it’s their way or the highway. But the science tells us otherwise--that farmers don't need these chemicals at all! The science also tells us we're not just killing bees and pollinators, but other insects too. And we're also killing birds and aquatic life. The scientists tell us we could be creating a Second Silent Spring. It's madness. Unfortunately, we have to get out on the road to cut through the chemical high, and wake up federal and provincial regulators. You have made Sierra Club Canada Foundation’s #SaveTheBees campaign one of our most successful programs ever, but we still have a long way to go. Come out and celebrate your success and talk about what is next. I am sincerely looking forward to meeting you in person. If you’d like to help out but can’t volunteer the time, please consider making a small donation. We'll put every penny toward the bee tour.